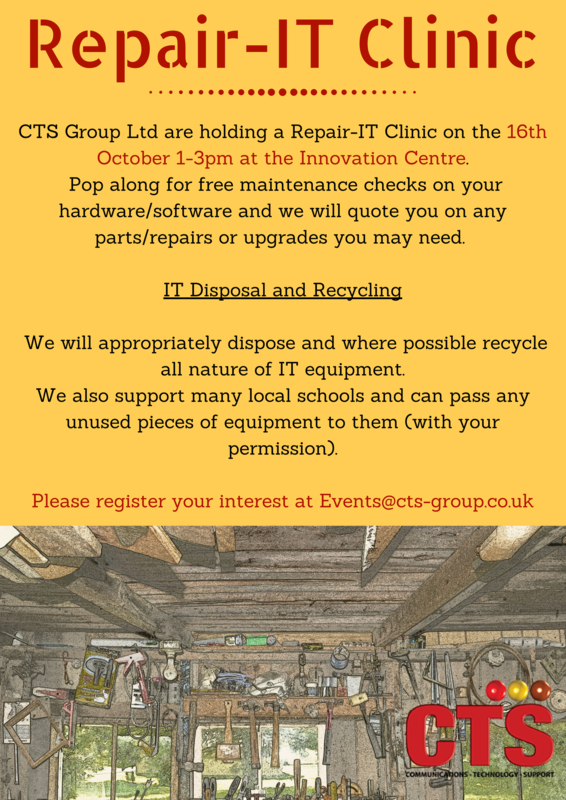 CTS Group Ltd are holding a Repair-IT Clinic on the 16th October, 1-3pm at the Innovation Centre, 99 Park Drive, Milton Park, OX14 4RY. CTS appropriately dispose and where possible recycle all types of IT equipment. To print this information out and tell your colleagues, please download this handy flyer.